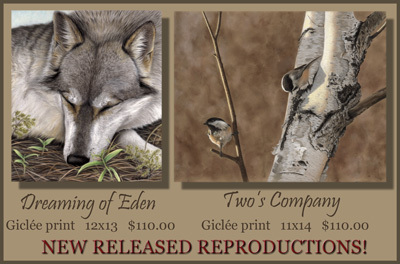 Purchase Limited Edition Prints and Cards of selected works by the artist, Colette Theriault! Open and limited edition (signed) archival quality giclee prints come secured to archival foamboard to ensure the longest possible (100 yrs +) preservation. Only archival/museum grade paper (Hahnemüle/Epson) and ultra chrome inks are used. Each print is sealed with a protective clear wrap to prevent damage during shipping and until it is ready to frame. Also available are matching Pet Portrait Prints and Cards that can be ordered with your pet portrait or anytime afterwards. These affordable prints and cards make great gifts to share with family and friends! 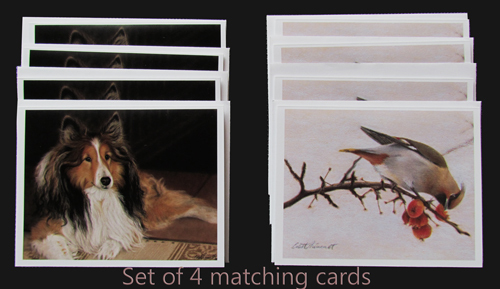 To order cards/prints of your pet portrait, please contact the artist here (print on demand). Take advantage of this special price! Note Cards measure 5.5" x 4.25" and comes each with an envelope. Each set includes 4 identical cards which are sealed in a clear protective sleeve. These blank notecards are very economical!